Tooth decay treatment is one the most common procedures performed by your Brooklyn family dentists. When you want to reverse tooth decay, entrust your and your family’s dental health to the experienced hands of a trained general dentist. You can’t cure tooth decay, but it’s possible to prevent it with regular brushing, flossing, and visits to your dentist. 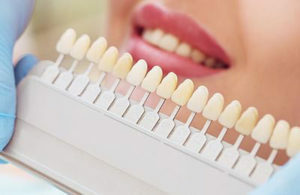 Come to our Brooklyn dentistry clinic to receive the most efficient, functional, and highly esthetic results. The destruction of enamel — which is the hard, outer layer of your teeth — happens during a process called tooth decay. A tooth cavity is a problem that can affect children, teens, and adults. If caught early enough, it can be an easy, relatively inexpensive issue to treat. But regardless of how early it’s caught, tooth decay treatment always begins with a visit to your Brooklyn family dentist. Early tooth decay starts with the presence of sticky bacteria, called plaque, that regularly forms on your teeth. When sugars are introduced to the dental plaque, the bacteria inside release an acid that attacks your enamel. The sticky nature of the plaque keeps these acids in contact with your teeth, which then breaks down your enamel over time, creating the potential for cavities or dental caries. Even with these cavity symptoms, there’s still the possibility that you won’t be aware of a cavity beginning to form. Only routine dental checkups and cleanings with your Brooklyn dentist can prevent and reverse tooth decay. Dental plaque is a clear, sticky film that coats your teeth. It starts when you eat a lot of sugars and starches. It builds when you don’t clean your teeth properly. The acid in plaque eats away at the minerals in the protective enamel on your teeth. The constant erosion causes tiny holes in the enamel — the first step toward cavities. After the first layer of enamel is worn away, it gives the plaque access to the second layer of your teeth, which is softer and less resistant to acids. As teeth decay continues, the acid and bacteria keep eating through your rotten teeth, moving next to the inner material of your teeth called the pulp, which contains the nerves and blood vessels. The pulp becomes irritated and infected from the bacteria and swells, causing the nerves to become painful. Of all these methods, x-rays are the most useful in detecting and identifying the different types of tooth decay. This includes the problems that often go undetected under the surface. Once cavities begin to manifest and eat away at your rotten teeth, it becomes more difficult to reverse tooth decay. Smooth surface cavities can show up on the sides of your teeth and look like a food particle is stuck between them. Pit and fissure cavities are the easiest to spot and can appear as an immovable blemish anywhere on the tooth. Root cavities are the most painful, and although they are impossible to spot by appearance alone, the toothaches caused by these cavities draw more than enough attention. In any scenario where the tooth’s pulp has been infected or damaged, a root canal or removal of the tooth may be required. 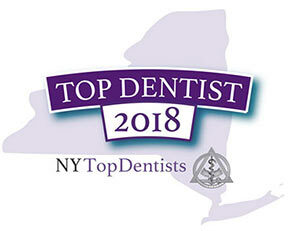 Make an appointment with the best dentist in Brooklyn today to cure tooth decay before it becomes a really big deal. Do you have any questions about Tooth Decay Treatment (Cure & Reverse Cavities) in Brooklyn? 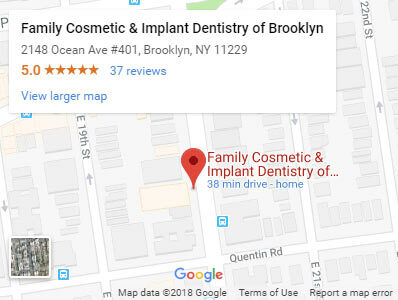 Would you like to schedule an appointment with the best rated family dentists Khabensky DDS of Family Cosmetic & Implants Dentistry of Brooklyn? 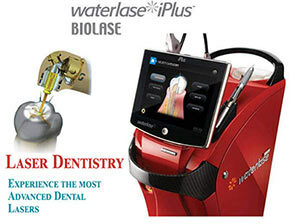 Please contact our dental clinic for a consultation with the dentists Alex and Igor Khabensky DDS.